Klayman: Ironically Omar's and Tailib's Anti-Semitic Hatred and Remarks Incite Violence Against Jews and Israel! 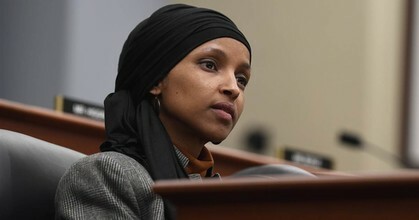 Rep. Ilhan Omar, D-Minn., finds herself embroiled in another controversy after a comment she made about the Sept. 11, 2001, terrorist attacks and Muslim civil rights. Speaking last month at an event hosted by the Council on American-Islamic Relations' Los Angeles chapter, Omar mistakenly said the organization was founded in response to the terrorist attacks, adding "because they recognized that some people did something" — a phrasing that some in conservative media have interpreted as a too-flippant reference to the attack.